hellooo all, hope you’re having nice weekends. 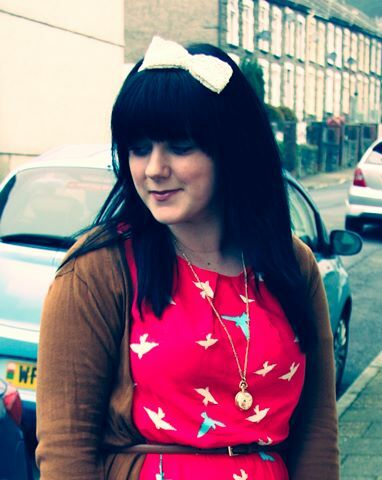 Just a quick visit from me..
Me wearing bird dresses is a fairly common occurrance, however, this is a particular fav.. this new bird dress from Newlook is so cheery, as you can see it was a grey,grey day and this bright number provided some much needed colour. I’ve been wearing a lot of dresses lately and loving it. As long as the length is right and the fit is comfy, i feel good to go! I have some re mix ideas for this dress too and hopefully should see me through all the seasons, which makes it a worthy investment if you ask me! 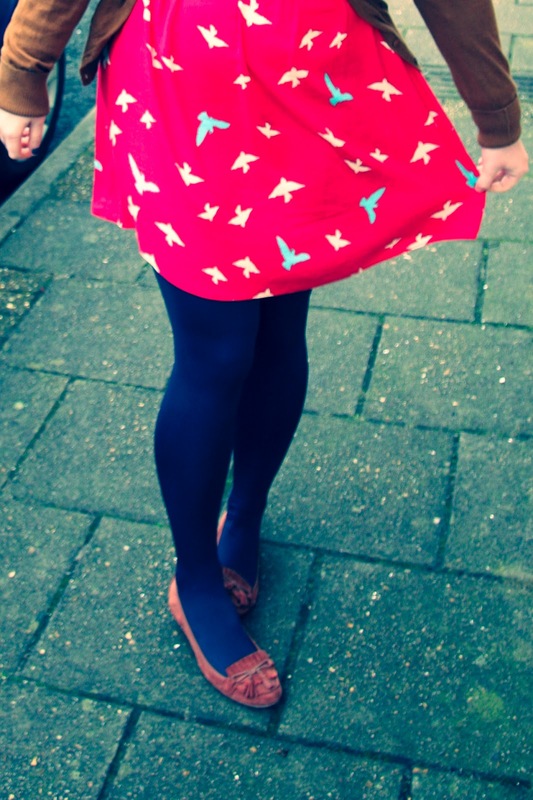 Also, more good news, @clothingattesco tweeted me a lovely tweet that informed me they had featured me as their “clothing at Tescos loves..” here it is if you’d like to go see… they such lovely things! Well lovelies, you all have great weekends and i’ll see you next week! oh I just love everything about this outfit. Your hair looks amazing especially with that cute bow and that pink dress makes me so happy 😉 Looks like you are brightening up some pretty gray weather over there. I love the bright color on you 🙂 also congrats on the Love from LifeStyled! Thats awesome! Hey, look at you on the Tesco website, will you remember us when you're hob-nobbing with the celebs? That's such a nice look! 🙂 I love the dress! i love, love, love, that dress so much! it's so cute and SO super flattering on you. especially with the belted sweater – this is one of my favorite looks of yours. and you look so happy in the photos. congrats on getting on lifestyled – that is AWESOME! super cute dress! 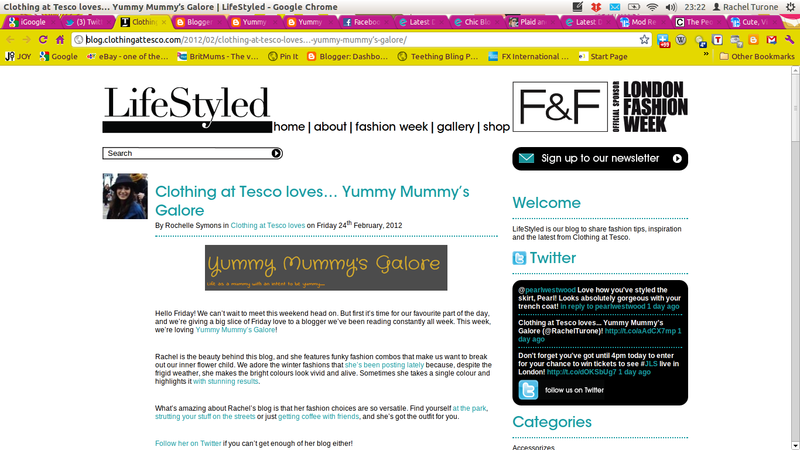 and congrats of the tesco feature! This is an awesome outfit. I just bought a similar hair band! Oh my! You look so adorable! I love all the colours you put in this look! I work at New Look right now, and I love that dress! it looks so great on you! I especially like it with the bow headband. You are tooo adorable! I love love love this dress and the fun bow headband!